Learn everything about the second wines and second labels of Bordeaux. The creation of second label Bordeaux wines for the top chateaux is not a recent invention. Far from it. While the idea for second label Bordeaux wines, and second wines became quite popular after the historic 1982 Bordeaux vintage, second wines has a long history in the Bordeaux wine region. The tradition of second label Bordeaux wines dates back to the 17th century. In those formative years of the Bordeaux wine trade, Chateau Margaux deserves to take credit for selling a selection of grapes that was different than the Grand Vin. Produced from time to time, the wine was sold prior to 1906 with the following addition to the Margaux label, “2eme vin.” That special label allowed consumers to know the wine was not produced from the best vines of Chateau Margaux. That changed in 1906, which became the first official vintage for Pavillon Rouge. Chateau Pichon Longueville Comtesse de Lalande could be the first Pauillac chateau to make use of a second label. However, the wine was not made every year and might have been used as an inexpensive method to promote the brand, when large amounts of wine were needed as samples for fairs, as the label and the connection to the Grand vin offered a lot of cachet. The wine was labeled La Reserve de la Comtesse, which made its debut in 1874. Shortly after Baron Philippe Rothschild took charge of Chateau Mouton Rothschild,in 1927, the Baron introduced Carruades de Mouton, which changed names in 1930 to Mouton Cadet. This was the second label of Mouton Rothschild. The second wine of Mouton Rothschild has continued changing names over the years. Today, the wine is sold under the name of Le Petit Mouton de Mouton Rothschild, which is how the wine remains marketed today. In St. Julien, Chateau Leoville Las Cases was the first property to create and market a second label with Clos du Marquis, which dates back to 1902. So as you can see, second labels and second wines have a long history in the Bordeaux region. What is a second label Bordeaux wine? First, it’s important to note that there is a difference between second labels and second wines. And you need to remember that neither of those terms are the least bit related to Super Second Wines! A Super Second Bordeaux wine is a Second Growth wine from the 1855 Classification of the Medoc that is a better wine than the other Second Growths and it sells for more money than the other Second Growth wines, but it does not sell for the same price as the First Growths, and usually it’s close, but not at quite same level of quality as the First Growths either. A second label is just that. It’s produced from the wine that was not good enough to be placed in the best wine of the chateau. It could be produced from the vineyard’s young vines, or made from grapes that just did not achieve the correct or sought after degree of ripeness the wine maker was looking for. There are chateau that look at this in a very different way. There are some chateaux that prefer to think of wines that are not the same as their Grand vin as a second wine. Second wines are usually produced from a specific part of the vineyard that is not used to the make the estate’s top wine. For example, let’s look at Chateau Latour in Pauillac. 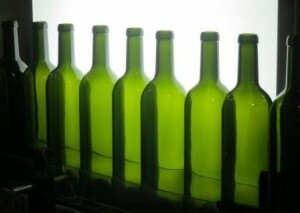 The majority of the wine placed into the First Growth bottling comes from the famous Enclos section of their vineyard. Making its debut in 1966, Forts de Latour is produced from parcels outside of the Enclos parcels: Comtesse de Lalande, Petit Batailley and St. Anne along with vines from Artigues and the young vines of Enclos are placed into Forts de Latour. This important distinction makes this a second wine, instead of a second label. They are similar, but not quite the same. Chateau Palmer with Alter Ego, Chateau Ducru Beaucaillou with Croix de Beaucaillou and Chateau Leoville Las Cases with Clos du Marquis are some of the other Bordeaux estates that produce Second Label Bordeaux wines from specific vineyard parcels. There are other Bordeaux chateaux that produce true, Second Label Bordeaux wine. The best second label Bordeaux wines can be quite good and they can be better than many classified growths. When it comes to the second wines of the First Growths, while those wines can be good, they are most often priced above the level of quality they provide, due to their relationship with the Grand vin of the First Growth. Second label Bordeaux wines are always produced by the same technical team that produces the top wine. Second wines see much less new oak during the aging process. The majority of second label Bordeaux wines are made to be enjoyed most of the time, on release. However, the truth is, most second label Bordeaux wines are really just second wines. They are made from leftover wine not fit for the Grand Vin or top wine of the estate. They are far too often, simple, easy drinking wines that are not meant for long term cellaring. If a second wine was priced well, they can offer simple pleasures and be enjoyed without additional aging. The problem with buying second label wines comes in with the pricing. This is because the second wine trades off the reputation of the Grand Vin which means that most of the time, second label Bordeaux wines are overpriced for their level of quality in the marketplace. On the plus side, it is clearly recognized that the production of second wines and second label Bordeaux wines are a positive method that clearly increases the quality of the estates Grand Vin, or top wine. That is because today, a much larger percentage of what used to go into the first wine is now being placed into the second wine. That means many second label Bordeaux wines are now not only better than any second wines in the past, they can be better than many estates were producing in the 1970’s and for much of the 1980’s! Continuing this trend, some estates like Chateau Lafite Rothschild and Chateau Latour have introduced third wines, making the quality of their second wine better. Going one step further, Chateau Margaux recently started placing some of its juice into a fourth wine, Margaux de Margaux, which also makes their second wine even better! While almost every serious Bordeaux property in the Left Bank, and probably all the 1855 Classified Growths produce a second wine or second label, that is not always the case in the Right Bank. In fact, it is often the exception and not the rule to find growers in Pomerol with second wines. Of course much of this has to do with the size of the vineyards in Pomerol, which are dramatically smaller than every other Bordeaux appellation. There is no second wine at Petrus or Le Pin. The declassified wine is most often sold off into bulk wines and bottled and sold under different names that can state Pomerol on the label, or be sold off as generic AOC Bordeaux. However, at Chateau Lafleur, they produce a second label, Pensees de Lafleur. At Lafleur, they consider it their proper Pomerol, because the blend is more typical of the region than the blend they use for their Grand vin. Chateau L’Eglise Clinet makes Petit Eglise and starting with the 2009 vintage, Chateau Trotanoy began producing a second wine as well. Interestingly at Chateau d’Yquem, there is no second wine. The declassified lots of d’Yquem are placed into a generic wine labeled Sauternes, which is sold to employees of the chateau. If you want to enjoy the best second wines or second label Bordeaux wines, this is a great tip for you. Look for the chateau that declassifies the largest amount of their harvest and places that into their second wine. Keep in mind, it wasn’t too long ago that those same grapes would have been placed into the estates top wine! Some estates include a higher percentage of their harvest than others in their top wine. Properties that are truly concerned with making the best wine possible, will declassify the amount of the harvest necessary to make the best Grand vin possible and will place their remaining grapes into their second wine. This could be 50% or more of the harvest and the top chateau. The bottom line is, with few exceptions, most second wines are over priced for their quality, simply because they are second best. Please notice, I said “most,” and not all second wines. But even with the best second label Bordeaux wines, they are not meant in the majority of cases for long term cellaring. Drink them young and enjoy.